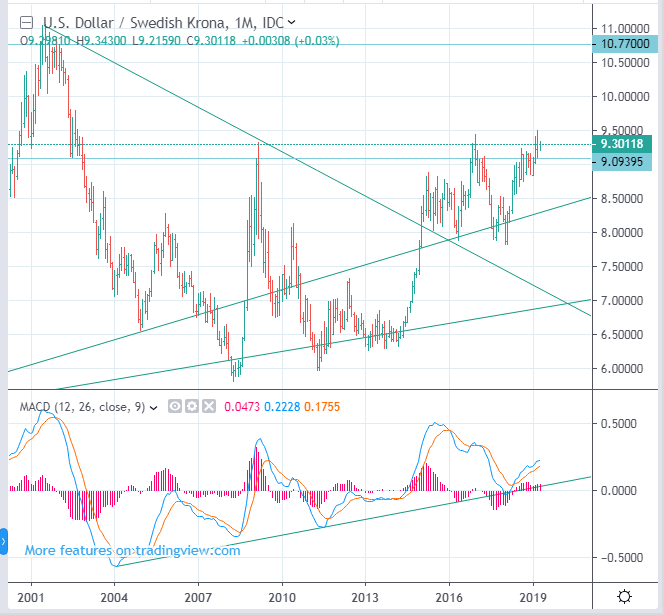 The Swedish krona looks weak. 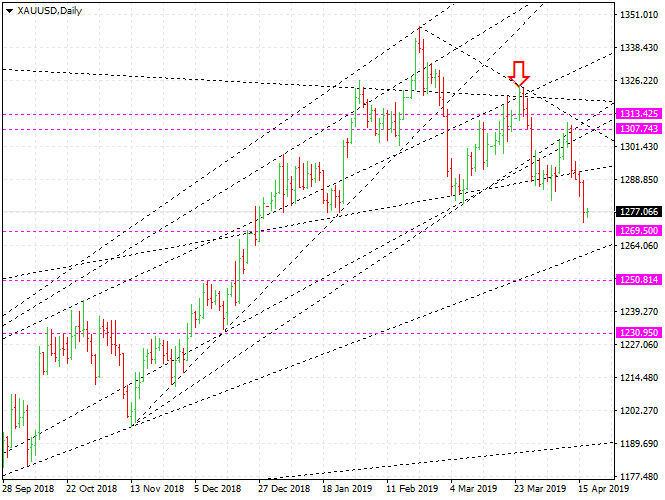 The USDSEK exchange rate is likely to rise. 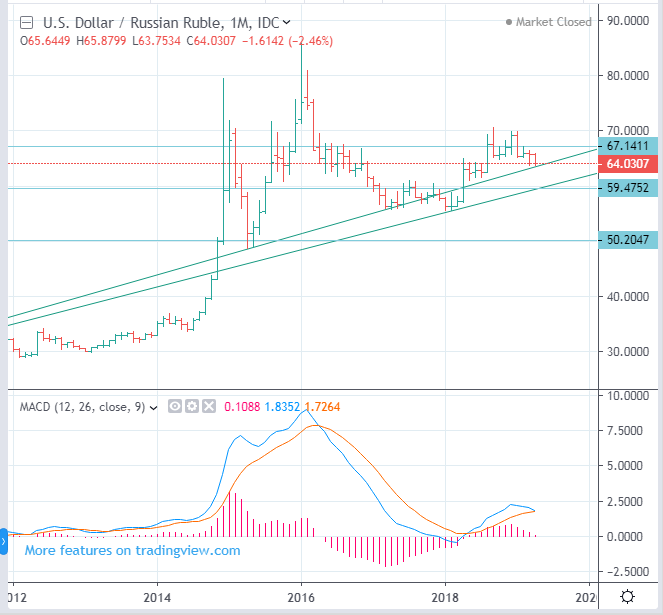 The trading range is likely to be between 8.5 and 10.7. 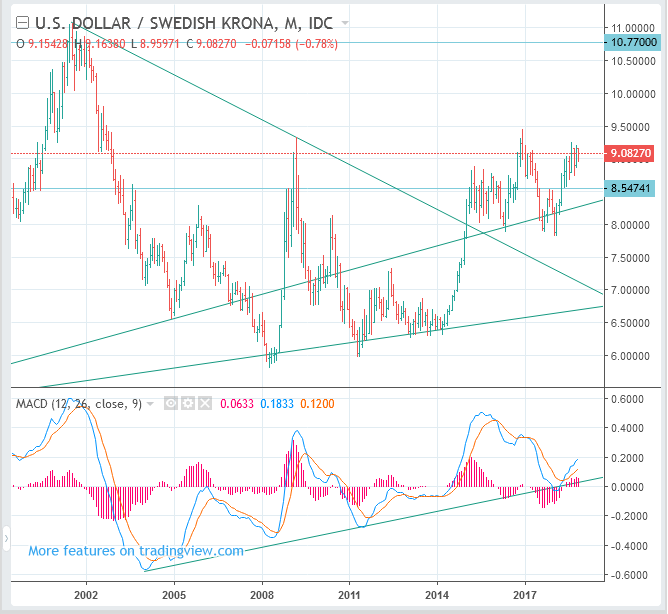 If the USDSEK falls, it would be better to buy.